After a year of excessive hype, false starts, and empty promises, these may very well be the last words I will ever need to write about the Essential Phone. Quite frankly, I’ve already written too many. There’s no denying how pretty Essential Phone is. I didn’t believe a word of it then and once I got my hands on a review unit, my opinion didn’t change. Despite its good looks, Essential Phone was a mound of marketing fluff that hoodwinked impressionable buyers into paying too much for a phone that wasn’t just overpriced, it should never have been released. And a year later, the company isn’t any closer to being reputable. Its phones have been reduced to bargain-level prices, basically screwing over anyone who foolishly bought one at the full $799 retail price. The only modular add-on for sale is the same terrible 360-degree camera that was available at launch. The companion Home speaker hasn’t progressed beyond a series of renders. And after promising speedy upgrades, it still took more than six months to deliver Android Oreo. Even if Essential isn’t shutting down as Bloomberg reported last night, Android phone makers young and old can learn a lot from Rubin’s failed experiment: Just because someone can make a phone that looks nice doesn’t mean you can shove Android in it and charge a premium price. The Android community could stand to have a lot fewer phones for sale. Even if you take away the sea of budget phones running on less RAM than a Wear OS watch, the number of high-end and premium phones being sold is staggering. In just the past month, LG, HTC, OnePlus, Sony, and Samsung have all released new or updated phones costing upwards of $800. And most of them are going to collect dust on shelves until the prices get slashed. Essential Phone has a modular system with just a single attachment for sale. Essential Phone marketed itself as something different, but in reality it was just more of the same. While it might look drop-dead gorgeous on the outside, it was riddled with compromises: Its ceramic back doesn’t support Qi charging and the promised wireless dock never came. Its OS was billed as near-stock Nougat, but beyond the minimal UI, it was slow and laggy until a recent software update fixed it (sort of). It’s not water resistant. 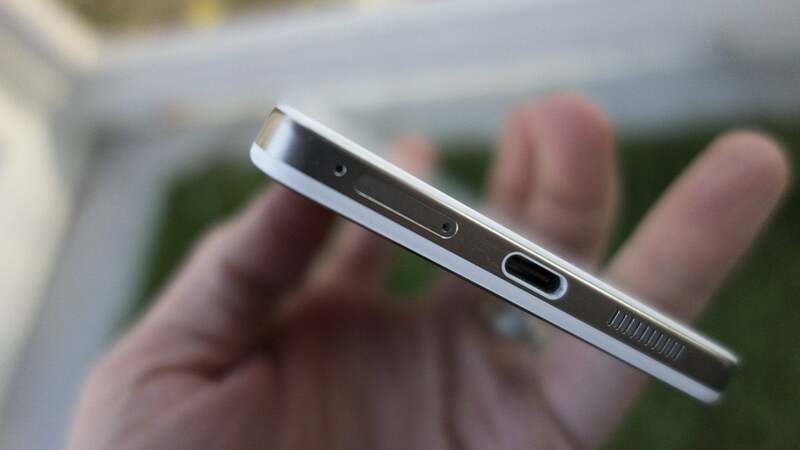 It doesn’t have a headphone jack. Yet, Rubin expected the Android faithful to rush out and buy it strictly on the basis of his name and its looks. Essential said it built its phone because “premium materials and true craftsmanship shouldn’t be just for the few,” yet it was priced as high as the Galaxy S8, a phone that actually delivered function beyond its form. Essential wanted to be the Apple of the Android world, but the father of Google's mobile OS forgot one important element: the experience. Android fans like to deride iPhones as being all about design, but the reality is, that isn’t the case. Yes, Apple puts a premium on how their phones look, but iPhones are designed from the inside out. The chip, the battery, the camera, and of course, the OS are all optimized to work together and deliver the best possible performance. 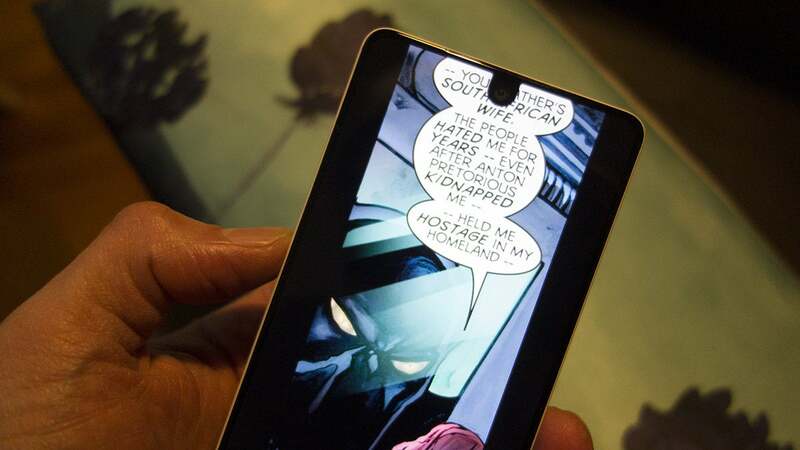 The Essential Phone OS doesn’t always account for the notch. Are they perfect? 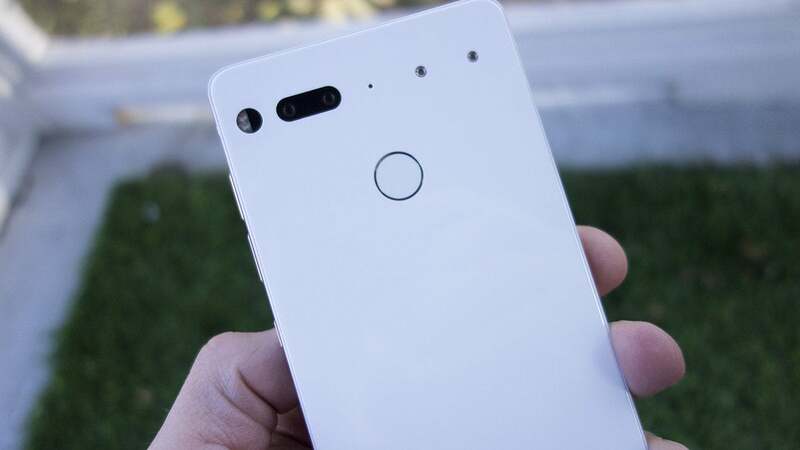 Absolutely not, but if Essential thought it could rival the iPhone with little more than a “pleasant, organic luster” on its ceramic back, it was gravely mistaken. The kind of Android user that would buy an $800 boutique phone cares less about design that Apple fans. They may have been momentarily mesmerized by Essential Phone’s craftsmanship, but ultimately their purchase decision comes down to things like speed, image quality, and upgradability. If it looks good too, cool. Take the Pixel 2. You don’t need to place it next to the Essential Phone to see how pedestrian it is design-wise. But what makes the Pixel 2 so great is how seamlessly the whole system works. Like the iPhone, it’s hardly perfect, but the Pixel offers the smoothest, most intuitive version of Android this side of iOS. 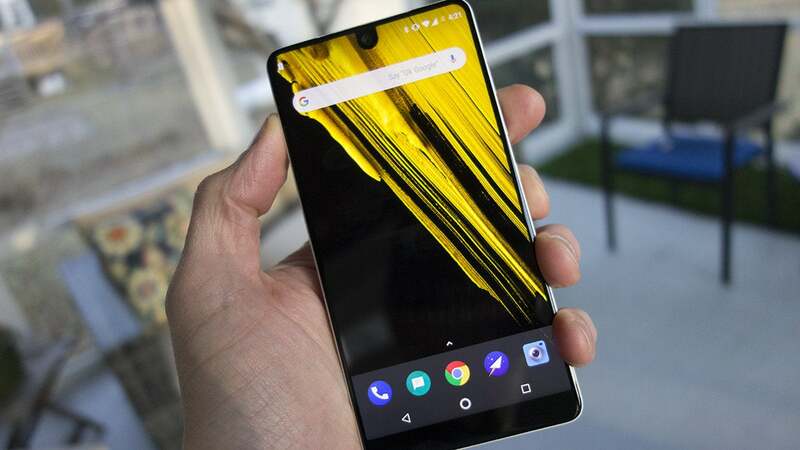 Essential Phone promised something similar, but in actuality it was just like majority of the other non-Pixel Android phones: laggy, buggy, and crashy. To be fair to Essential Phone, it does have a great display. It will forever hold the title as the first phone with a notch, and its edge-to-edge LCD is one of the best screens I’ve ever seen. Using it, however, is another story. Ultimately, the Essential Phone’s display suffers from the same issues as the rest of the phone: It’s a beautiful design element that fails to deliver much beyond its good looks. The lack of a headphone jack isn’t responsible for Essential Phone’s downfall, but it doesn’t help. And that’s where most Android phones fail. LG’s G7 ThinQ (which I’m in the process of reviewing) is a perfect example of this. It has a nice design with a good screen and excellent specs, but when you get down to it, the overall experience of the OS and components is too bogged down to be pleasurable. Android phones should be taking their cues from the Pixel and design their phones from the OS out, but for most of them, the OS isn’t nearly as well thought-out as the case. 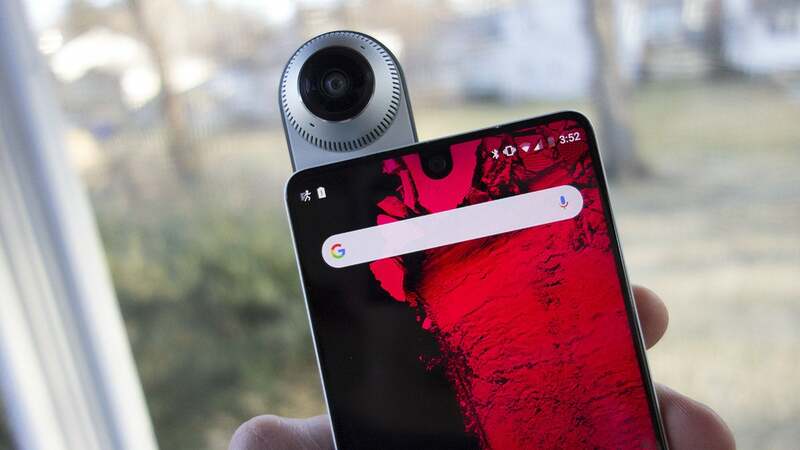 Essential Phone and its failure may have grabbed headlines due to Andy Rubin’s attachment, but let it be a lesson to Android phone makers big and small. If the next Essential Phone wants to be the Apple of Android, it should have taken a look at what’s on the inside of the phone—not just the outside.